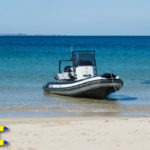 There is no doubt that the Zodiac Fastroller series of inflatable boats rule supreme when it comes to portability and performance. 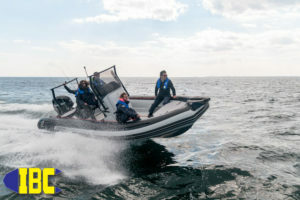 In the last couple of years these boats were uncommonly hard to find due to their popularity with sailors. 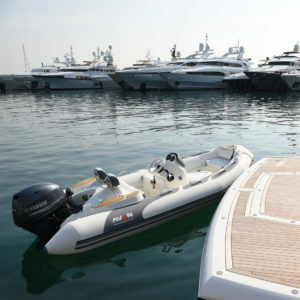 This year we doubled down and brought even more of them in to IBC to meet the needs of cruisers and sailors everywhere. 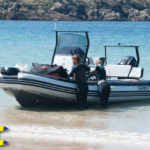 While costing more than a Chinese built inflatable boat their value is understated in their pricing. French built to standards the other manufacturers wish they could attain the Zodiac Fastroller is the leader of the roll up. The French have a rather novel way of Thermobonding™ their special Strongan Duotex™ Fabric together that vitually eliminates any seam leaks or repairs. 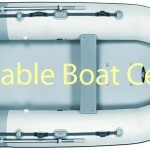 Upon inspection the user will see that there is very little glue at all on the inflatable boat with the lion’s share at the transom bed. 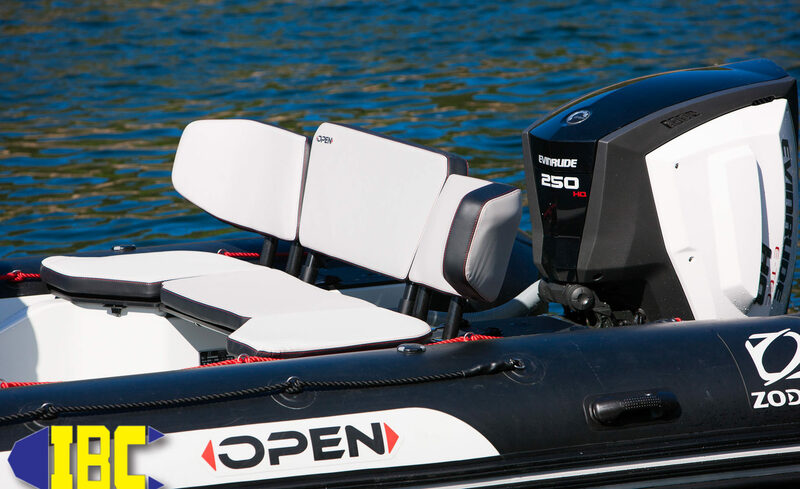 Everything else is Thermobonded™ and won’t come apart sitting in the sun for days, weeks, months, or years. About the only negative thing on the Zodiac Fastroller is they last too long. Well negative is a perspective thing, it’s negative to us here at IBC because we likely won’t see that customer again for 20 years when they are looking for the same thing or a bigger size. 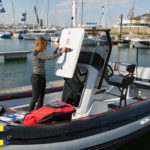 The Zodiac Fastroller series has an actual keel shaped keel that inflates when the floor is inflated. 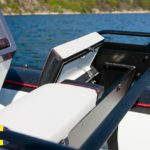 Just forward of the transom there are two additional skegs that address any yaw on a hard maneuvers giving boaters an additional edge for those tricky beach landings. Premium Zodiac exclusive materials, and equipment mean your grocery getting needs are handled. When you’re not using your Zodiac Fastroller it can easily be deflated and rolled up into a small package that can be stowed almost anywhere. So much of the Zodiac Fastroller’s popularity has leaked into popular culture that it’s become the RV boat of choice. Because you merely unroll and inflate, it goes from zero to hero in minutes without breaking a sweat. Smart RV owners have opted for the 12V electric inflation pump and launching wheels. What this one two punch means is everything is loaded into the finished boat and casually walked to the water. No muss, no fuss, all fun in the sun! RVers aren’t the only ones picking up of the ease of use of Zodiac’s Fastroller. 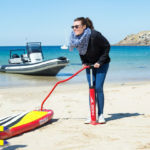 Fishermen with little time , money or space have opted for the portable Zodiac Fastroller since they can fit it into even the diminutive Smart Car or Prius. 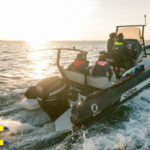 Crabbers up and down our West Coast have been using the Zodiac Fastroller for decades and that trend is only growing. 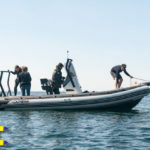 Yes the incredibly responsive yet light as a feather Zodiac Fastroller is blurring the lines between dinghy and stand alone boat. For many it will be the only boat they’ll ever need, for others it’ll be the boat they come to when their no name boat falls apart. 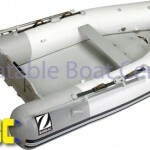 In either case IBC has you covered with a goodly supply of Zodiac’s Fastroller Inflatable Boats. Follow this link to buy one today. Questions? Call us here at the IBC headquarters in Portland Oregon (503)235-2628. 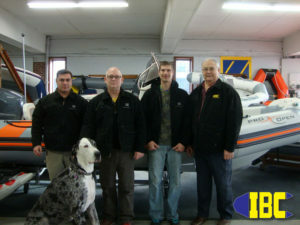 The crew at IBC wish to thank all of our customers and wish them a Merry Christmas and Happy Holidays. 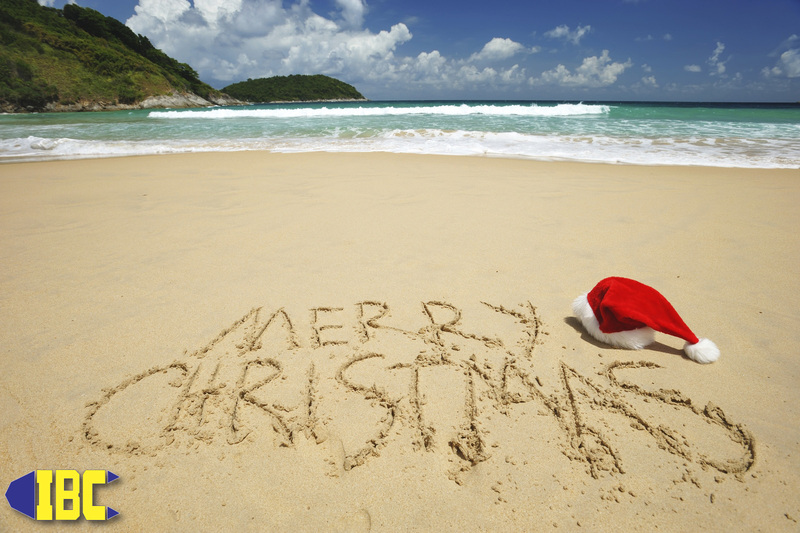 We will be closed our usual Sunday and Monday but back to work on Tuesday December 26th to serve you with the best boats and service afloat. 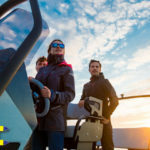 Boat Show season is right around the corner and there is much to see this year. 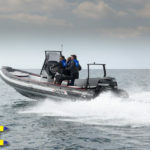 New Avon deluxe tenders, Zodiac’s flagship Open 7 model will be on hand and much more! Zodiac Fastrollers are back in stock at IBC so get yours before the rush and avoid waiting to get the perfect tender for smaller yachts today! Lightweight performance in genuine French Zodiac form, always a best seller worldwide. Don’t miss you chance at the Zodiac Heritage Classic. A very special Zodiac Classic from a very limited run. IBC still has #16 of 50 left in our showroom for one lucky person. 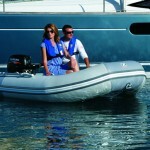 As a boater and a inflatable boat enthusiast I see and pilot a good many boats in my day to day on the water. One that has garnered a lot of attention lately is the Zodiac Open 7. Rarer than unicorns at the time of this writing, there have been two built with a third being wrapped up and shipped to The Inflatable Boat Center right this second. 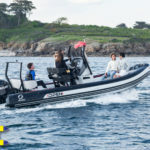 If you were lucky enough to go to Paris then you got to see some of the forward thinking innovations Zodiac has folded into the mix. 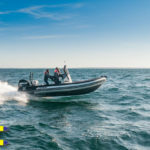 Surely if you’ve been paying attention while you were out for a cruise you would have noticed a change in the boating community. 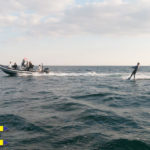 Younger boaters look for water sports and smaller packages and are willing to pay as much as a home just to go water skiing or wake boarding. 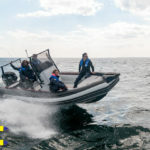 Tin boats seem to have a hold on fishing but lack the buoyancy and redundancy to be safe in any sort of sea state other than a placid lake or river. 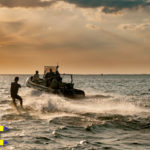 The tin guys will all talk trash at a boat ramp as they fumble with launching or recovery about the “raft” next to them. 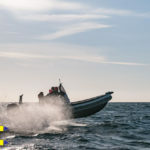 Later on the radio when the call comes out that they sunk and need help do they then start to appreciate the strengths of the inflatable boat or RIB. 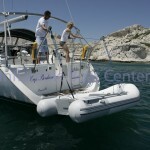 Zodiac pays attention to what’s going on in the World and in the way people use their boats. 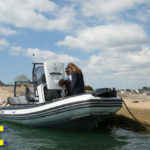 With ownership back safely in French hands the new and the old come together in harmony of design with the purpose built strength of a huge knowledge base. 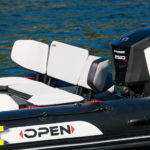 The Open 7 blends it all together in a package that is easy to pilot, and has the pedigree of being the safest boat type afloat today. 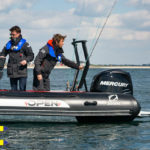 Younger generations will appreciate that the Zodiac Open 7 is kind to the environment in it’s production and it’s deployment. 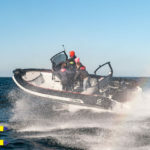 While the folks at The Inflatable Boat Center have their Zodiac Open 7 rigged with a Yamaha F250 that seems to tear at the space time continuum when throttled up, it barely uses fuel as one would expect. 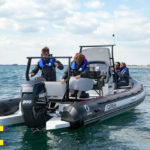 Zodiac pays keen attention to the environment and the miserly fuel consumption of their designs has always been a herald to lower cost of ownership. 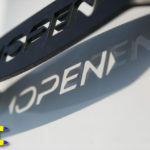 The Zodiac Open 7 isn’t just smart, it’s beautiful as well. 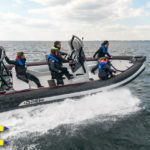 The folks at The Inflatable Boat Center tell me their Zodiac Open 7 will be priced at $69.999.00 turn key with a trailer included. 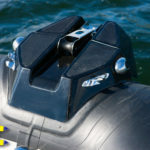 Compared to a ski boat that doesn’t do anything else or a lead sled this is the best value in boat money today. The Zodiac Open 7 is the perfect chameleon, it adapts to anything the wind or sea throws at it and it does it with poise and grace. 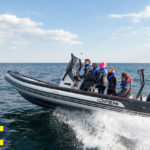 I think we’ll be seeing more of the Zodiac family on the water as the younger smarter generations come to boating as a hobby or vocation. 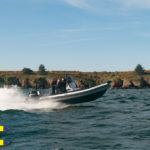 To see the Zodiac Open 7 for yourself give the folks at The Inflatable Boat Center a call to schedule a viewing (503)235-2628, or see the Zodiac Open 7 at the Portland boat Show, or Seattle Boat Show in the coming months. 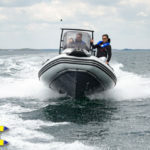 The folks at The Inflatable Boat Center speak Zodiac fluently and seem to all have grown up on the water. Chances are they probably have been there or done that already and are happy to talk to people about their upcoming adventures afloat. 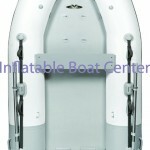 www.inflatableboats.com is their website address.